Use this adapter as part of system for filling lpg propane gas cylinder bottles (reverse thread calor gas type) at the autogas station pumps. This unit is a part of the propane gas refilling system, other parts will be required. This is a POL to W21.8 UK Bottle Filling Adapter Unit ( Calor Gas ), screw this in to the valve on top of propane cylinder, attach other adapters through the female W5/8 thread system. 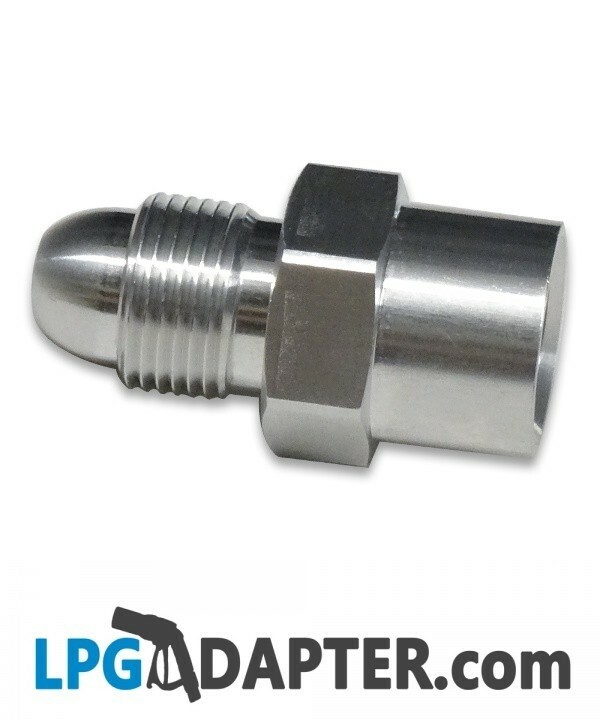 Other LPG adapters are found in our shop. For direct LPG cylinder filling you will need our W21.8 male to W21.8 female one way valve unit. You will also need either an individual country specific Autogas filling adapter / adapters or the rest of our Remote Adapter System kit. Dont hesitate to ask questions about our products. This unit is also part of our gas bottle remote filling lpg adapter system.